Frances Savage starred for Head Coach Ferne Labati's Hurricanes from 1987-92. The four-year letter winner from Ft. Lauderdale's Piper High School led the team in just about every category while leading the program to heights it had never before reached. Her 1992 team played its way into the heart of the national collegiate women's basketball scene by winning an amazing 30 straight and finishing the season with a 30-2 record. Included in that 1992 season was the BIG EAST Conference's first undefeated team when Miami went 18-0 against league opponents. A narrow overtime loss to Florida State in the season-opener was all Savage and her teammates needed as they next defeated the Florida Gators, followed by a sweep of the remaining regular season schedule, the BIG EAST Conference Tournament and against North Carolina in the first NCAA Tournament game hosted by Miami. Savage overcame a serious knee injury in 1990-91 and went on to become the Hurricanes' No. 2 all-time scorer with 2,358 points. Savage also ranks among the Hurricanes' top 10 all-time in at least 16 other categories, including No. 1 in scoring average per game (23.2 ppg in 1992). 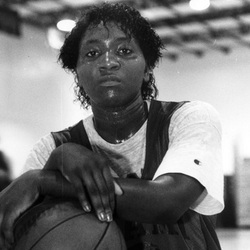 Among her many honors, Savage is the only Kodak/WBCA First-Team All-American the University of Miami women's basketball program has ever produced. Additionally, she was named Sports Illustrated Player of the Year in 1992, as well as BIG EAST Player of the Year. A 1992 graduate, Savage has also had her jersey number 24 retired. After her graduation, Savage went on to play professionally in South America and Europe and is currently a U.S. Customs Agent in South Florida.